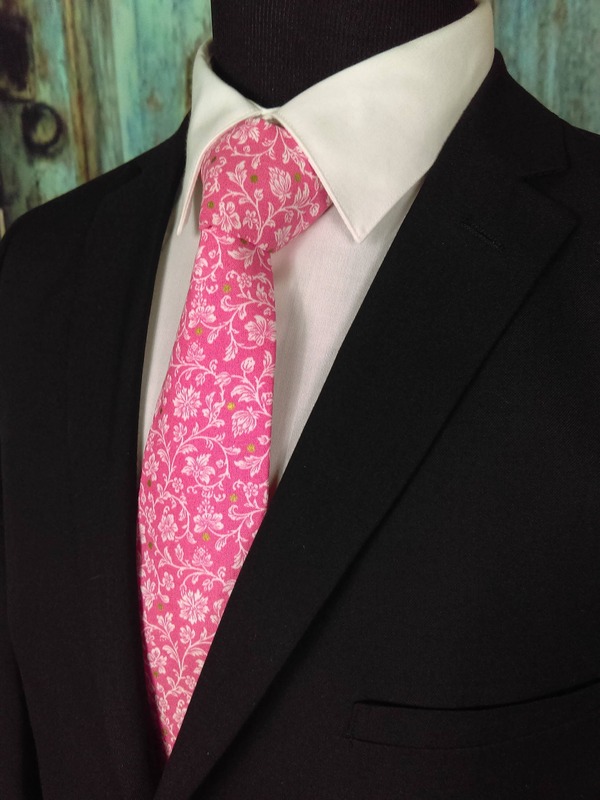 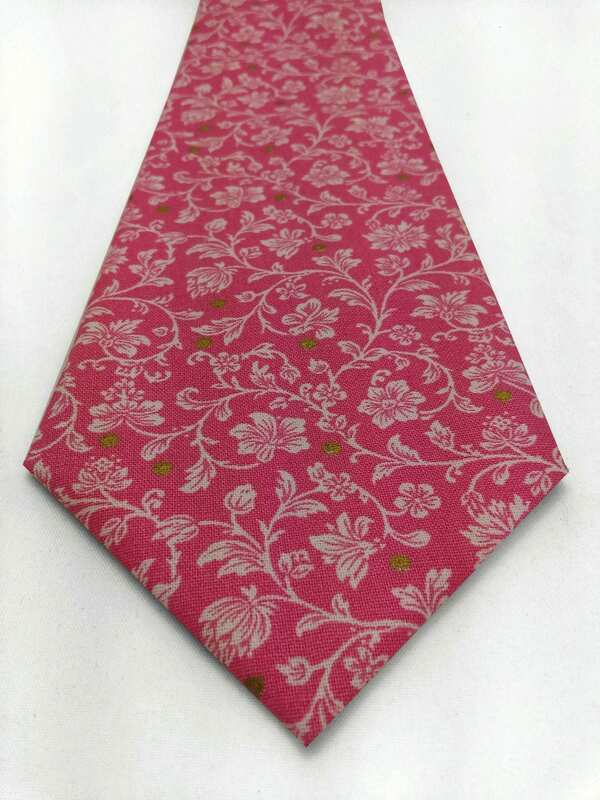 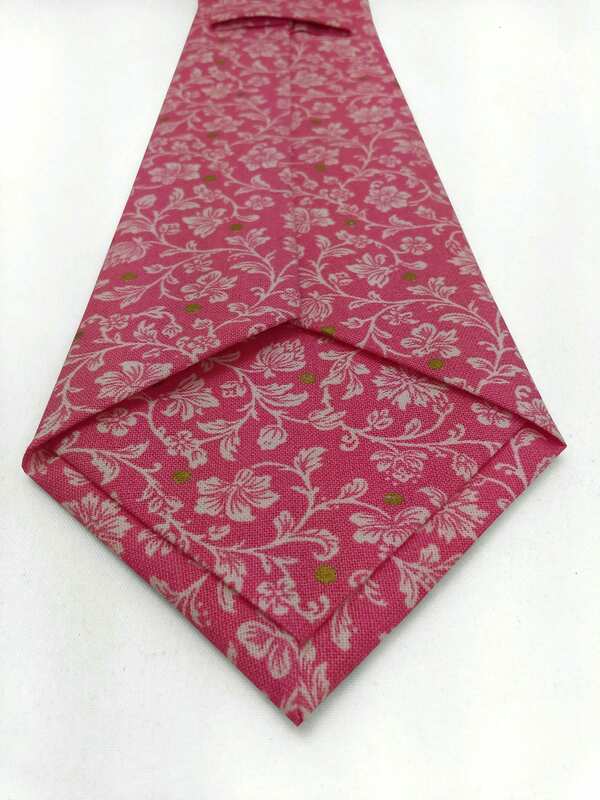 Floral Ties Pink – Pink Necktie / Pink Grooms Neck Tie for Men or Boys also available as a Skinny Tie. 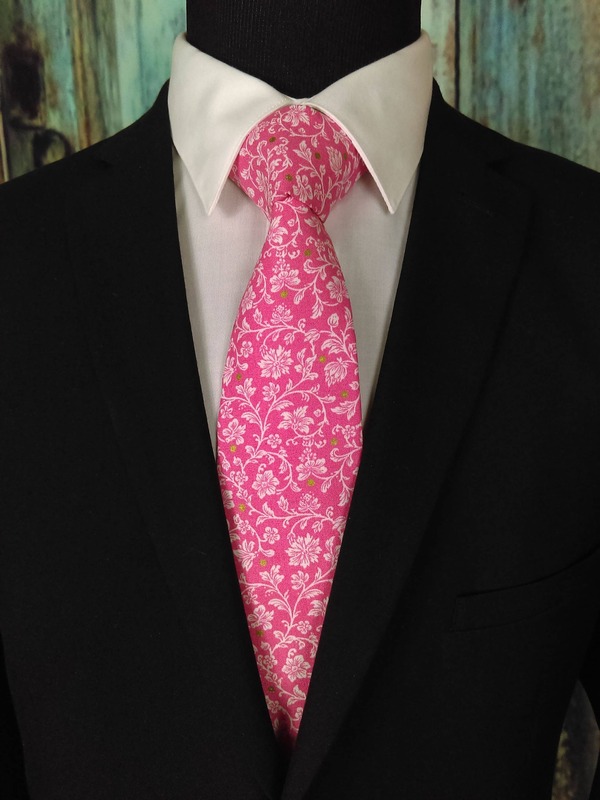 Pink Floral Necktie for your special day and after. 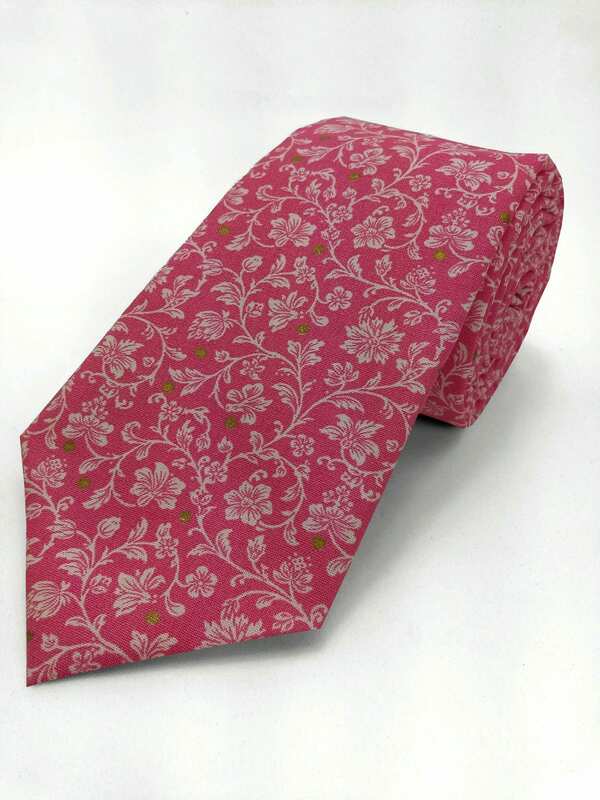 Features a Pink background with white floral pattern and hints of green.